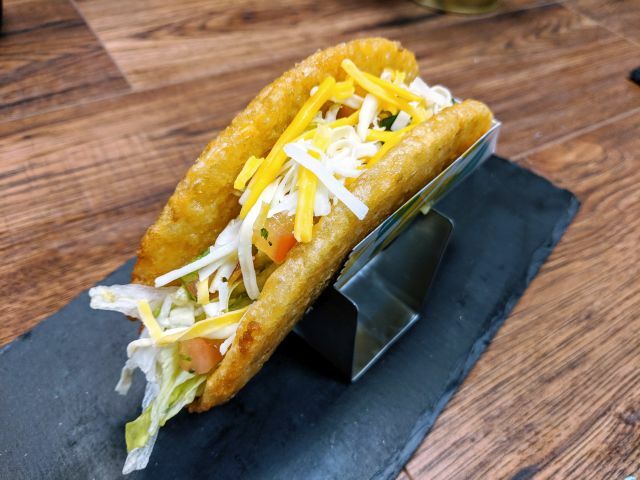 As I mentioned in my earlier preview, Jack in the Box's new Double Jack is now here. While it sounds like a pretty standard burger, it showcases a number of across-the-menu ingredient improvements that the company hopes will result in tastier food. - What is a Double Jack? In case you missed it before, the burger features a new bakery bun, two beef patties, two slices of American cheese, hand-leafed lettuce, freshly-sliced tomatoes, mayo, ketchup, mustard, pickles, and onions. - No more grill seasoning mix - Jack in the Box used to sprinkle a bit of grill seasoning on their patties during cooking but no longer. The one exception to the change is the "signature" patty for the Buttery Jack burger line, which has a special blend of seasonings pre-mixed into the patty. - New buttery bakery bun - Gone are the old-fashioned seeded buns (which have been around since the '70s). Instead, there's a new, split-top bakery bun that gets a buttery spread before toasting. In case you didn't know, "buttery" is the favored food industry term for "like-butter-but-not-butter." In this instance, it means butter-flavored oil. Interestingly, the Buttery Jack includes real butter on its beef patty. Maybe they should have called it the "Butter Jack." The only sandwiches not affected by the new bun are the Buttery Jack line, sourdough sandwiches, and value sandwiches (i.e. the regular Chicken Sandwich, Jr. Jack, and Jr. Bacon Cheeseburger). - Hand-leafed lettuce - The lettuce is now pulled by hand at each restaurant rather than packaged shredded or pre-cut lettuce. - Freshly-sliced tomatoes - The tomatoes are now freshly sliced rather than pre-sliced from a distribution center. - Mayo instead of mayo-onion sauce - If you liked the mayo-onion sauce, it's gone. If you don't like the change, you can try custom-ordering one of their other sauces on your burger or sandwich but otherwise, you're left with regular mayo. 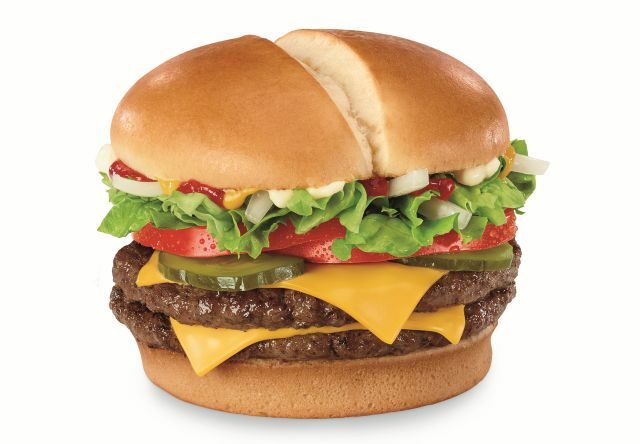 - Price - The suggested price for the new Double Jack is $4.79 (may vary with location). It is a permanent menu item. - Anything else? This is just a hunch on my part, but I have a feeling that they're going to do some sort of deal starting February 7th to get people to trial the new burger. Maybe a buy one, get one deal or maybe even a freebie. Again, unlike the news I sometimes break, this is just a feeling I have.